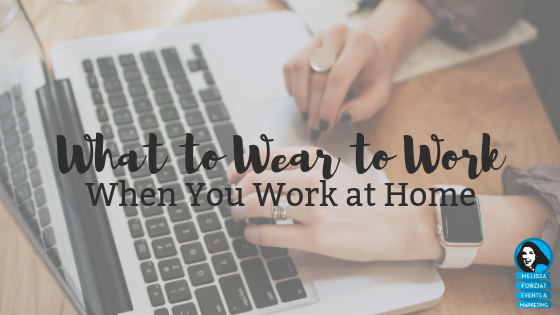 This guest post from Regina Ackley is perfect advice on dressing for success when working from home. I’ve been a work from home professional for over eight years now. I started out working for different companies but am currently running my own at-home business. I have to admit that working from home definitely has its perks. There are days when I love the fact that I don’t have to get out in the rain or snow to go to work. Even though I work from home and am my own boss, I like to set a schedule and create time blocks in order to organize my workflow for the day. This helps me to hold me accountable so that I can actually accomplish what I need to. If I did not get up in the mornings and go by a schedule, I wouldn’t get anything done! I am grateful that I can take 30 minutes and make my own lunch at home instead of having to go grab a quick lunch at a local drive through or convenience store or even take my lunch with me to work. It has helped me to save money. Another plus is that I don’t have to deal with rush hour traffic. I’ve noticed that on days when I wake up and get dressed I feel better about myself. I work more productively and it’s actually easier for me to do certain aspects of my job like posting on my Facebook page, making a training video, podcasting or even posting a quick Instagram story. If I’m not dressed or looking presentable, these are things I would more than likely avoid. Wearing work clothes when you are working from home can send a signal to others that you are working and shouldn’t be disturbed. Getting dressed has improved my mindset and helps me to focus on what I need to get done on a daily basis. It also reminds me that this is a job. When I feel professional, I’m able to shut out other distractions. I know that I need to shut my cell phone off and not answer my house phone until I have completed what I need to get done. As a work from home entrepreneur, getting dressed every day not only helps you look and feel your best but also helps to have a more productive day. Here are a few wardrobe ideas to help you boost your productivity if you are working from home like I do. Makeup – For all you ladies if you wear makeup, put on a little makeup to feel successful and put your hair up in a ponytail or bun. Comfortable Pants – They work great year round and are comfortable enough to wear all day like slacks, leggings, yoga pants, relax stretchy jeans, etc. Tops – I love wearing loose fitting tops but prefer those that are slightly dressy that go below my waist and that I can wear with leggings if I like. T-shirts – I love motivational t-shirts with a saying on them like Lady Boss Entrepreneur, Successful, Boss Babe, Work From Home Lady Boss, Believe In Yourself, Follow Your Dreams, Inspire, Sparkle and Shine, Wife Mom Boss, etc. Dresses – I love the chic and confident looking ones that go to your knees or just a little below. Shoes – Slip on shoes: a dress or casual shoe without shoelaces, fasteners, ties that you can just slip on like flats or low heels. Remember, to be successful working from home you must treat it like you would any other job. You wouldn’t go to an outside job in your pajamas and you shouldn’t work from home in them either. Dress for success and you will be successful. 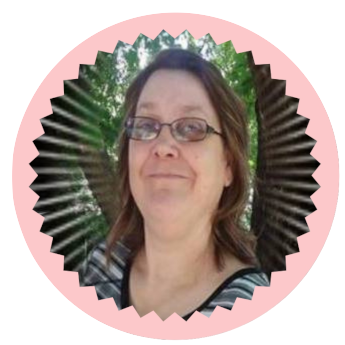 Regina Ackley is the owner of Lady Boss Entrepreneur and an advertiser/online marketer. She also does graphic designing and podcasting . She is on a mission to help men and women who work at home grow with their businesses. You can also find her on Facebook as well. That is great work at home advice. Thanks, Debbie! I also thought these were helpful tips! Great article. I need to get me some of those motivational t-shirts! I do try to dress and maintain a schedule. I find that if I start out in my pj’s I never change out of them all day – not good! It sounds like motivational t-shirts would be a great psychological solution for you, Janice! Thanks for sharing. I would say that I am most productive when I’m most comfortable, but it’s so interesting to me that others need the formality and the ritual of getting ready to get on schedule. We’re all different, and it’s important to get to know what you need. Thank You, Janice, for your comment. I have found in the past when I started my day out in my P.J’s also I stayed in them the whole day. I now get dressed every morning in something comfortable and feel more productive and Profesional.